Batman is the best lunch buddy ever! The Batman Dual-Compartment Lunch Kit by Thermos is a super-convenient, super-heroic snack packing container! The Batman Container features superior insulation to keep food fresh, and durable easy-clean fabric and lining to keep food safe and cut down on mess. The large upper compartment is great for goodies of all kinds, and there is a lower compartment too! The entire tote is decorated like Batman’s costume, including a cape! This cool container is made by Thermos, so it’s built to last. And the cool Batman theme makes lunchtime totally awesome! 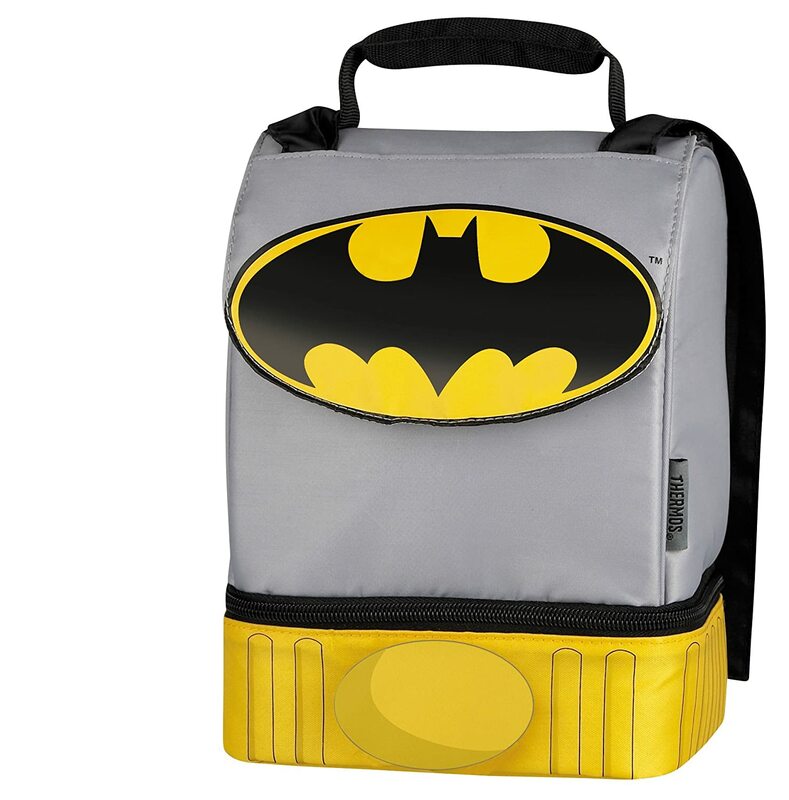 Batman Dual-Compartment Lunch KitBuy It!